The big implosion is comprised of 500 small magnets that range in size and shape but altogether equal the volume of a human head. The big implosion is not fixed in shape. The magnets are arranged in a new configuration each time the work is installed. The magnets can even be rearranged during the course of its exhibition, either at the discretion of the exhibiting institution or due to the random nature of the magnetic forces that hold the work together. Formally, The big implosion is intended to reference an abstract Modernist sculpture, or an architectural maquette for a Modernist structure such as the Eiffel Tower. Assembling the work, one should keep the Modernist references in mind. However the nature of the magnetic elements used to construct the work is such that complete control and intent are subverted. 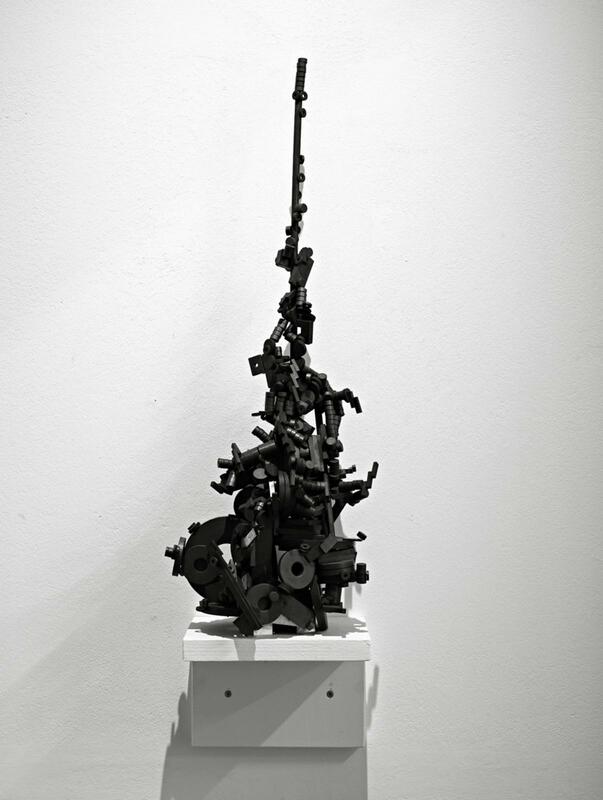 The magnetic force of each element serves as a phenomenon that contributes to the final form of the work.